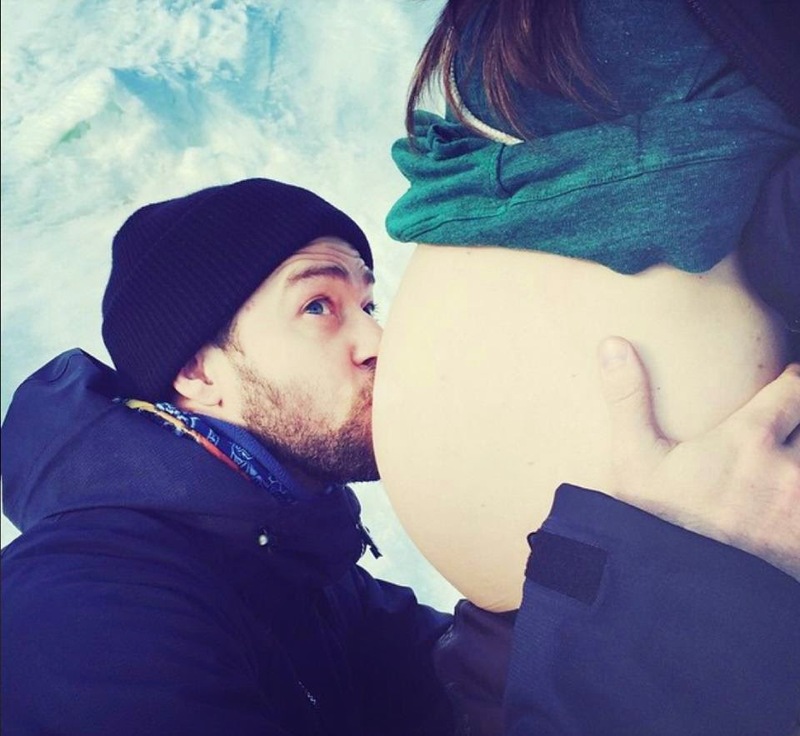 On Justin Timberlake's 34th birthday (which is today), the star confirmed that he and wife Jessica Biel are expecting by posting an adorable baby bump photo on Instagram and Facebook. "Thank you EVERYONE for the Bday wishes," Timberlake captioned the post. "This year, I'm getting the GREATEST GIFT EVER. CAN'T WAIT. #BoyOrGirl #YouNeverKnow #WeDontEvenKnow #WeAreTakingBets"
Rumors have been swirling around for weeks about Biel's possible pregnancy, with the actress attempting to hide (and sometimes not hide) her growing baby bump. This will be the first child for both Timberlake and Biel, who wed in 2012.